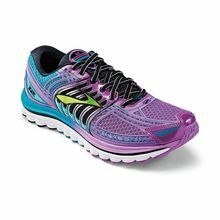 The Glycerin 12 features a new full-length Super DNA mid-sole that takes one of the plushest shoes on the market to another level. 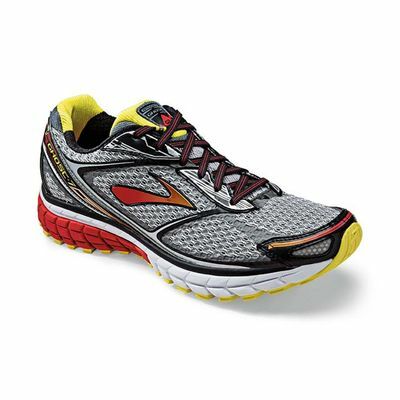 Super DNA absorbs impact 25% better than Brooks' previous cushioning systems. The shape of the Glycerin's sole enhances the float experience by increasing surface area where the foot needs it most, optimizing the feel of that cushy Super DNA. This version of the Glycerin also boasts the same rounded heel found in the Pure Project series. All of these changes drop the weight to under 11 ounces for men at 10.9 and 9.1 for women. The Glycerin has a 10 mm heel-to-toe drop. The Ghost 7 has been a Runner's World Editor's Choice shoe for 4 straight years now. This version continues the lighter trend by going to a slightly different engineered mesh upper with no-sew overlays, decreasing the stitching felt by the top of the foot. The bottom of the foot gets taken care of as well, by more aggressive outsole lugs, increasing the bounce and responsiveness felt with each stride. The midsole has BioMoGo and DNA blended into one consistent mix of energy return and cushion throughout, customizing the ride for each customer. The Ghost weighs in at 10.4 oz for men and 8.6 for women, and has a 12 mm heel-to-toe drop. Check these great running shoes out at Fleet Feet Sports Madison!